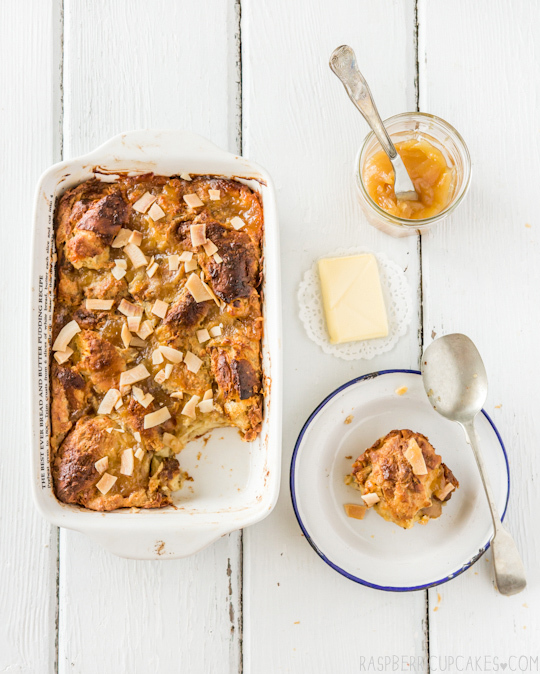 But a few weeks ago my friend Re asked me why I had never tried making bread and butter pudding. She suggested that I try and make it with an ingredient that I loved to make it my own; kaya (Malaysian coconut jam). I was suddenly intrigued. 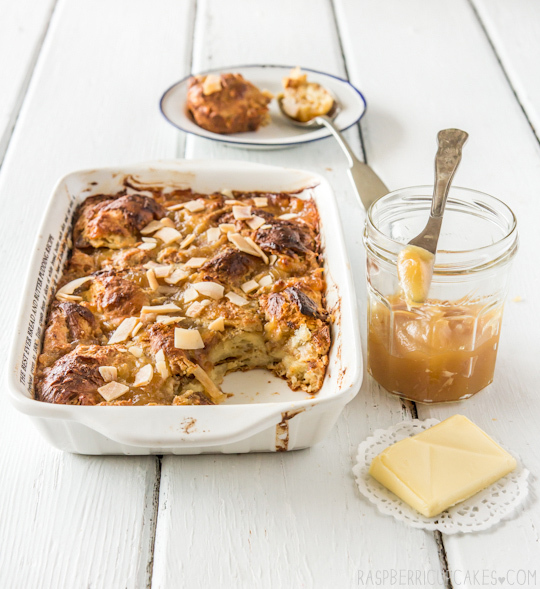 And then I recalled a super old episode of Nigella where instead of using stale bread, she used stale croissants to make a very indulgent version of bread and butter pudding with caramel. At the time I scoffed at the idea of ever having croissant sitting around my house long enough to go stale. I put off doing this for so long because the two most important ingredients (croissants and kaya) were things that I tend to eat quickly so I don't have enough of it leftover to make anything with! But now the idea of trying this dish was good an idea to pass up. I bought a bunch of croissants and hid them away to stop myself from eating them. I hoarded a few jars of kaya from the Asian grocers. 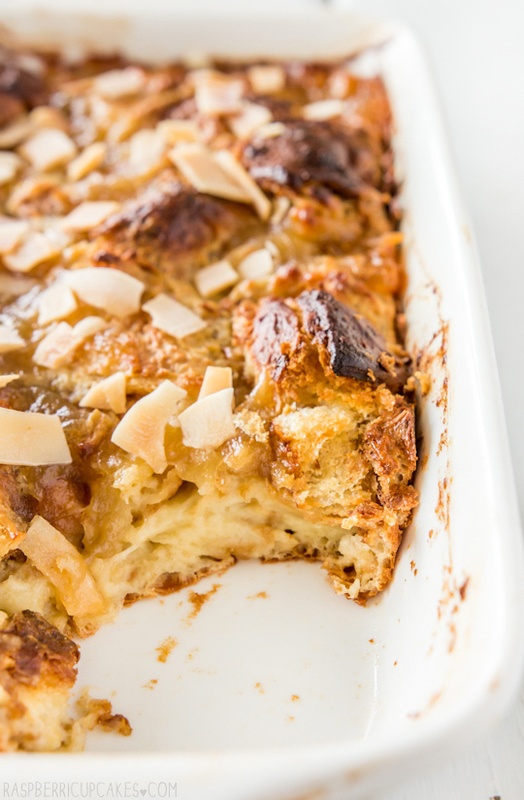 To keep going along with the whole coconut theme of this dish, I made a coconut custard mixture to soak the croissants in, as well as dolloping a generous amount of kaya throughout the pudding. To add a bit of crunch, I sprinkled some roasted coconut chips after baking. The result was kind of incredible. A puffed, golden brown pudding with flakey buttery layers, mixed with a lovely coconut flavoured custard and warm pockets of coconut jam and that last final crunch of the coconut flakes on top. It smelt SO GOOD. It tasted even better, especially when it was straight out of the oven and the pastry was still all flaky and a little crunchy on top. This is definitely not a light dessert. But I didn't find it over-the-top heavy since I decided not to add any extra sugar to the egg mixture as I knew I was adding so much coconut jam. The mixture has enough moisture that you don't need to add any sauce or cream to enjoy it, though serving it with a some extra kaya will surely go down well. Yeah don't ask my why I'm making seasonal berry cheesecakes one week and then a pudding the next week (after a couple of boiling hot days too). There's no method to my madness, I just really wanted to try making this. And I'm so glad I did. 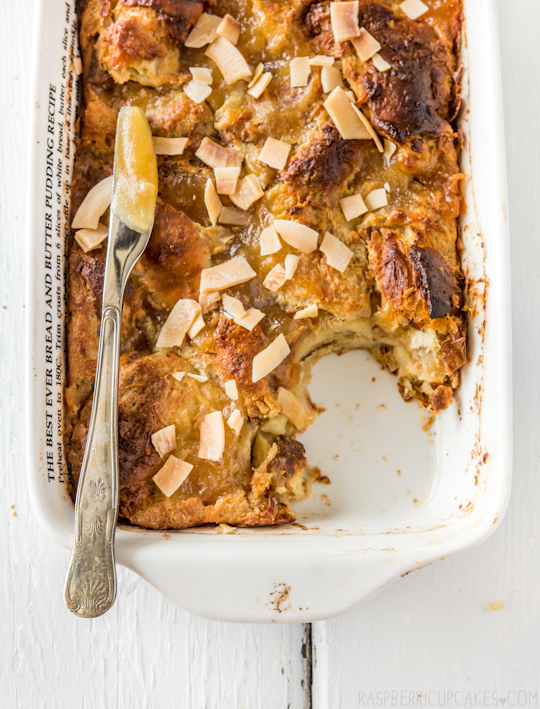 I think I may be a convert to this whole bread and butter pudding thing, but it might just be due to the buttery croissants and abundance of kaya. I'm so glad my friend pushed me to try something new, it's so easy for me to stay in my comfort zone of baking. 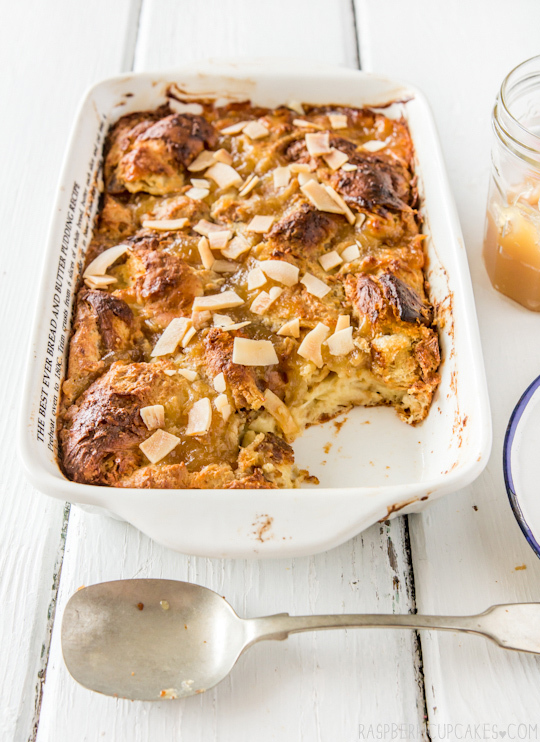 I don't expect everyone who reads this recipe to know what kaya is (though regular readers should be fairly familiar with it, since I'm so obsessed with the stuff), or to have easy access to it (you can make it yourself but it's quite time consuming) so I've included alternate ingredients if you still want to make a coconut croissant pudding. However a lot of Asian supermarkets these days (at least in Aus) stock kaya now, you can usually find it near the coconut milk and cream. If you're in Sydney I'd recommend the Nona brand, I've seen it at Castle Towers, Eastwood and Chatswood Chase. It's definitely worth tracking down for this dessert, it just adds a little something. Preheat oven to 150°C (300°F) and butter a shallow, heavy baking/gratin dish or iron skillet (mine was approx 21cm x 15cm). In a large mixing bowl, whisk together eggs, salt, coconut milk and coconut cream (and sugar and vanilla if you are not using kaya). Add croissant pieces and allow to soak in mixture for about 10 minutes. Pour contents into prepared dish, layering with large dollops of kaya throughout the dish. If using untoasted coconut, sprinkle over the top and place in the oven. Bake for 40-50 minutes or until puffed and golden brown on top and a skewer inserted into the centre (a non-kaya part) comes out clean. At this point I sprinkled roasted coconut chips over the top, but you can skip this if you baked it with coconut flakes on top. Serve immediately, can be served with extra kaya. I was unsure about bread pudding too until I tried it at a cafe I worked at. It was loaded with seasonal berries and stone fruits and flavoured heavily with vanilla bean and local honey. That changed my tune pretty quickly. Rice pudding though, I'm still not sold on! Steph I'm so with you. Rice pudding, bread pudding. No thank you. Although in saying that, this does look yummy! The concept is very intriguing to me as I love bread but just not when it's soggy. In saying that I have given it ago and whilst it might not be my go-to dessert, it can still be tasty. I don't doubt this croissant and kaya version is anything less than super tasty... This actually does look very appealing! Such a fab dish! I love the croissants in there!! This recipe sounds amazing. The photos are even more amazing! omg could you add any more insane deliciousness to this dessert? 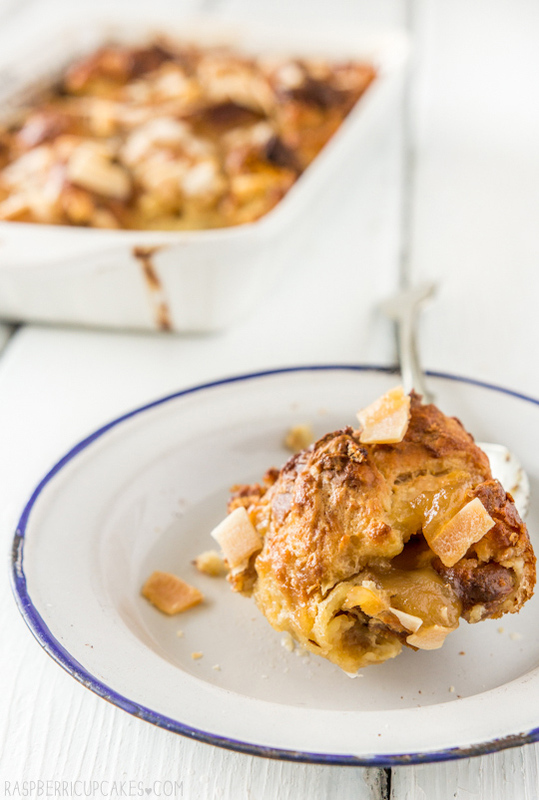 Bread and butter pudding can be so hit and miss when it's done well (like yours!) it's amazing! OMG yum! 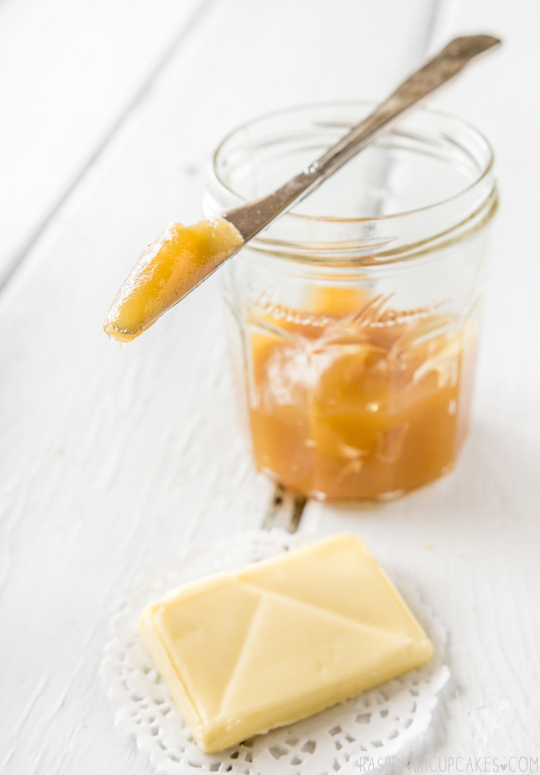 I absolutely love kaya butter! When I was in Singapore earlier this year I ate it every morning with my breakfast... it's so good! I will definitely be trying this recipe out! Yummy! Coconut Jam???!!! Where have I been. I had no idea something so incredible even existed. I am now on a mission to find it. Lovely post and photos! This is so amazing. I really really love how you always combine really true, authentic and familiar Malaysian flavours in western desserts. It's these kind of recipes that you share that I enjoy reading the most and each one that I've tried have turned out to be a big success each time! I swear I cannot process what you did to this croissant bake, but all I can say is I want it more than any sprinkle cake! Ooooh this looks so amazing! Bread pudding isn't what I normally reach for, either, but anything with kaya immediately gets my attention -- and I LOVE that you used croissants. You might have just converted me, too. Love this, and love the stunning pictures. Thank you so much for posting! 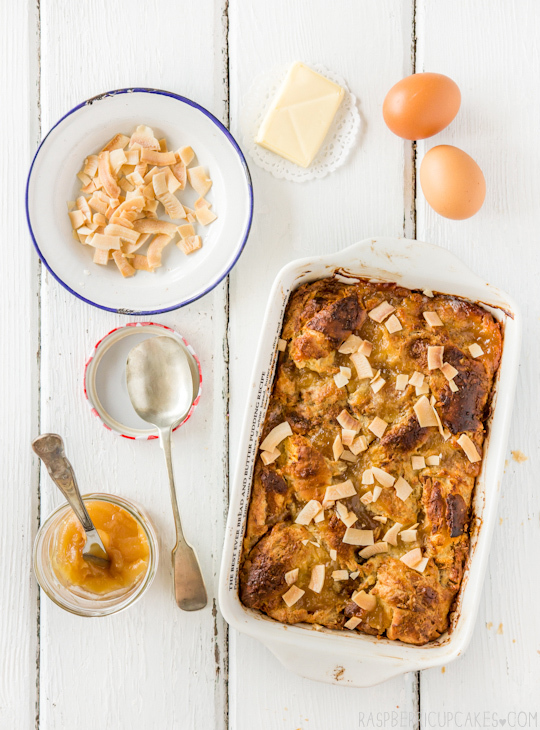 Boarding school completely turned me off bread and butter pudding (along with a few other stodgy-type meals!) but the way this looks and how you've described it, I don't think I could NOT enjoy eating this! It really looks and sounds delicious, especially with the addition of kaya! This looks delectable! 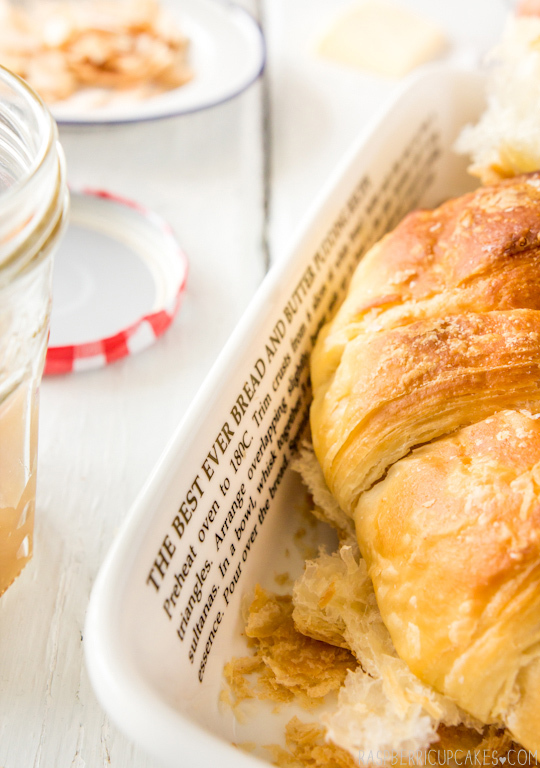 Bread puddings are great, but croissants make them even more special, especially when paired with kaya. I made this today and it was absolutely wonderful!